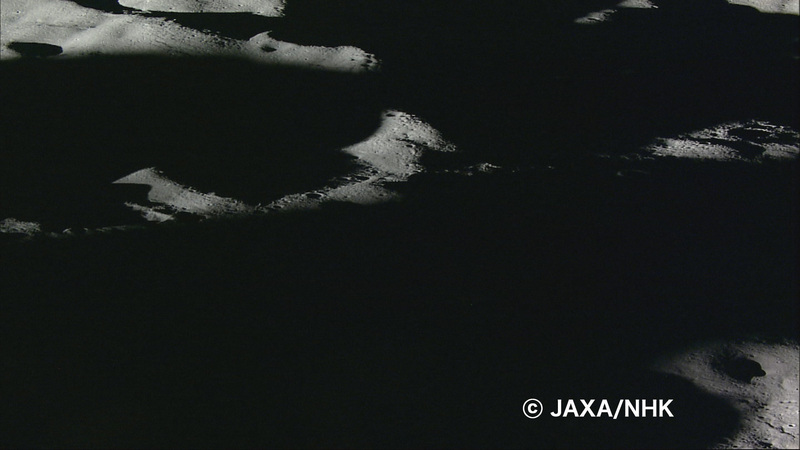 The Japan Aerospace Exploration Agency (JAXA) and the Japan Broadcasting Corporation (NHK) would like to release the final still images taken by the onboard High Definition Television (HDTV) of the lunar explorer "KAGUYA" just prior to its maneuvered falling to the Moon. 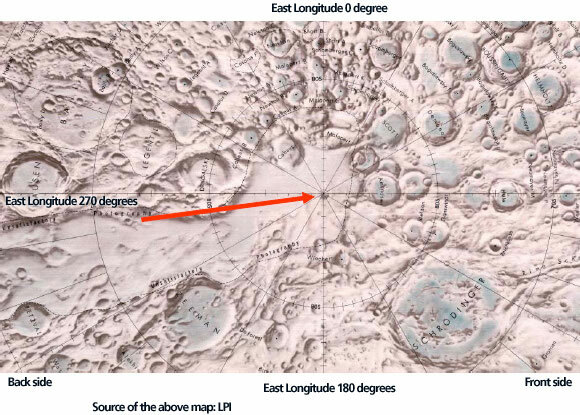 The images are attached below. 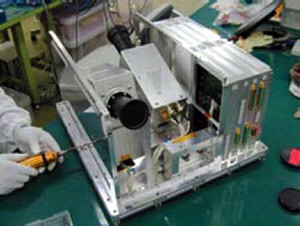 The KAGUYA was launched on September 14, 2007, and was controlled to be dropped to the Moon on June 11, 2009, as its mission was completed. 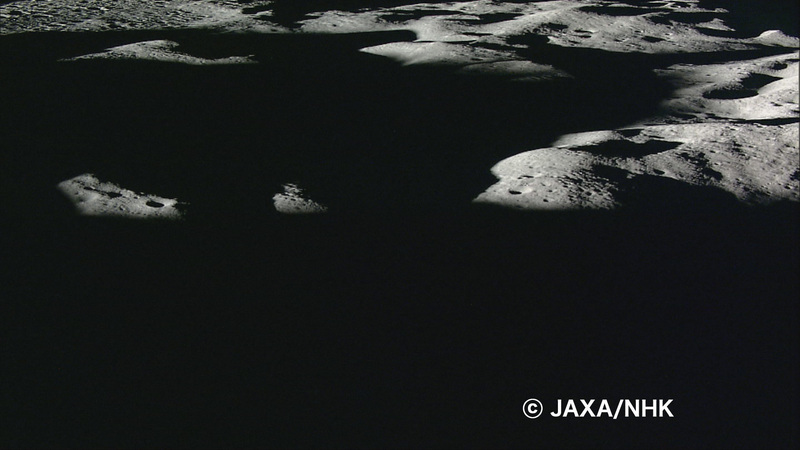 We can see the approaching Moon surface as the KAGUYA went closer to it. 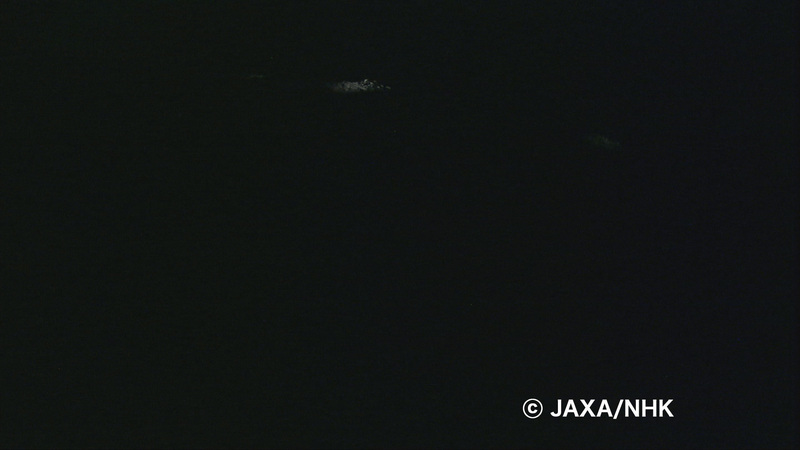 After the final image, the KAGUYA moved into the shaded area to make its final landing, thus it was pitch dark while taking an image. 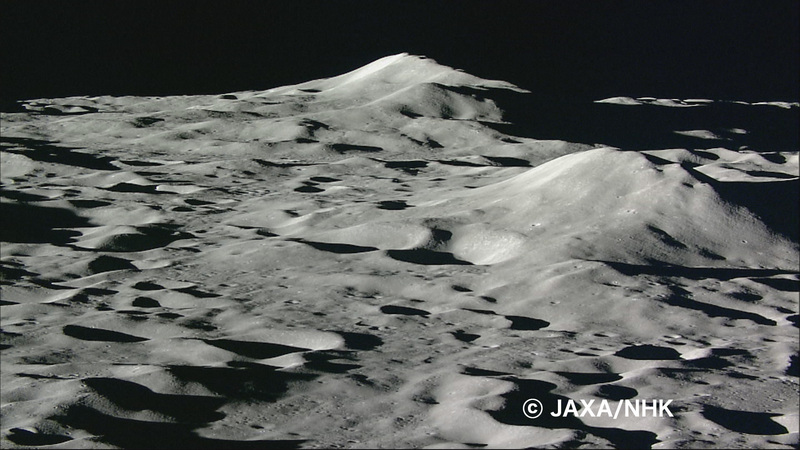 This is the very final image shooting of the Moon by the KAGUYA HDTV. 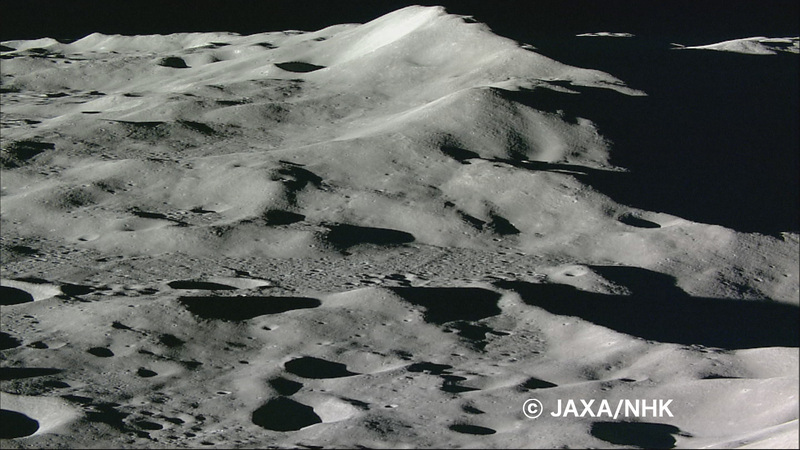 You can enjoy images taken by the KAGUYA HDTV through JAXA Digital Archives, the KAGUYA Image Gallery, and the JAXA channel on YouTube. 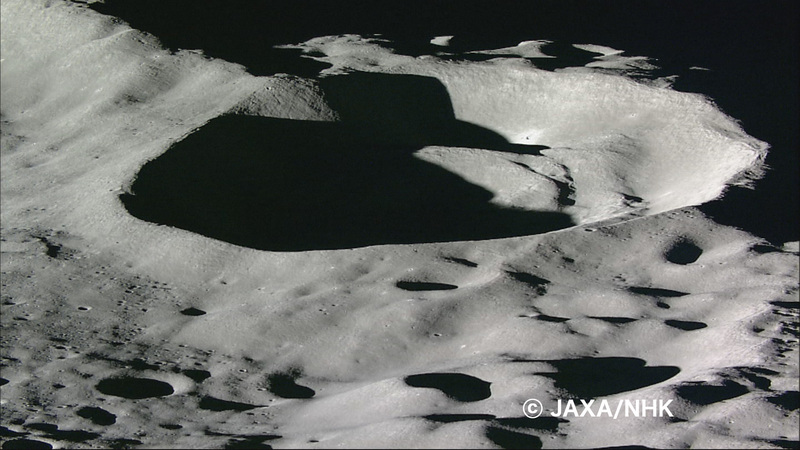 The last clear still image taken by the KAGUYA's HDTV (Teltephoto) when it went into the shaded area from the sunshine area. 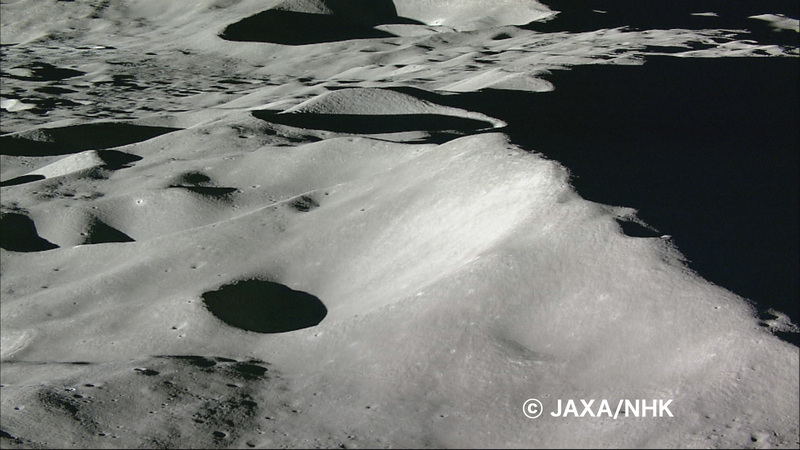 You can clearly see the rough surface inside the crater as the sun shone from the back left hand side in the polar area.